In case you had not heard, 27 people were taken into custody by ICE agents during a raid at the Sanford manufacturing company, which is quite popular with budget-conscious AR-builders. Our state-of-the-art facility stretching over 340,000 sq. ft., employs over 250 employees, right in the heart of Sanford, North Carolina. 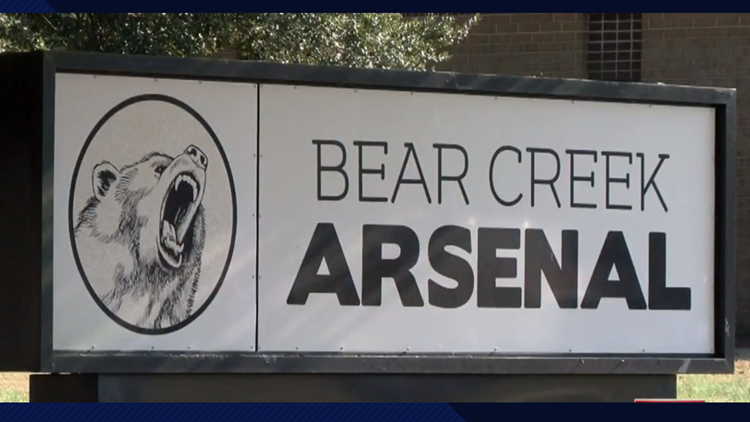 With 245 of the latest industry standard CNC machines, Bear Creek Arsenal’s firearm output covers a wide variety of calibers, finishes, and fluting. Our barrels are produced from 4150 Gun Barrel Quality Steel Chrome Moly or 416R Stainless Steel, our bolts are made from 9310 Grade Steel, and our receivers are forged from 7075-T6 Aluminum forgings. The Lee County Sheriff’s Office said it was the result of an ongoing investigation by ICE into identity theft and fraud. An ICE official told ABC11 that action was the result of a federal search warrant and not immigration enforcement. ICE clarified Wednesday that 25 people had been arrested on criminal charges related to “an ongoing criminal investigation.” Two other individuals were arrested for civil immigration violations. I wonder how this will affect the availability of side charging uppers. Apparently they’re out of BCG’s and the stripped uppers are on sale. I think I just got one of the last upper, BCG and plug sets Primary Arms had in stock.